The Thermal - KS-DSUP-40 (Stand-up-Pouch) is a compact and easy to use machine designed for high-performance standup pouch production. The Thermal - KSP Lane Stand Up Pouch Machine model is a high speed, quick changeover machine designed for high performance standup & three side seal zipper pouch production. The Thermal Pouch Machine, is a multi-format pouch making machine, that allows flexible packaging converters to develop a wide variety of pouches. 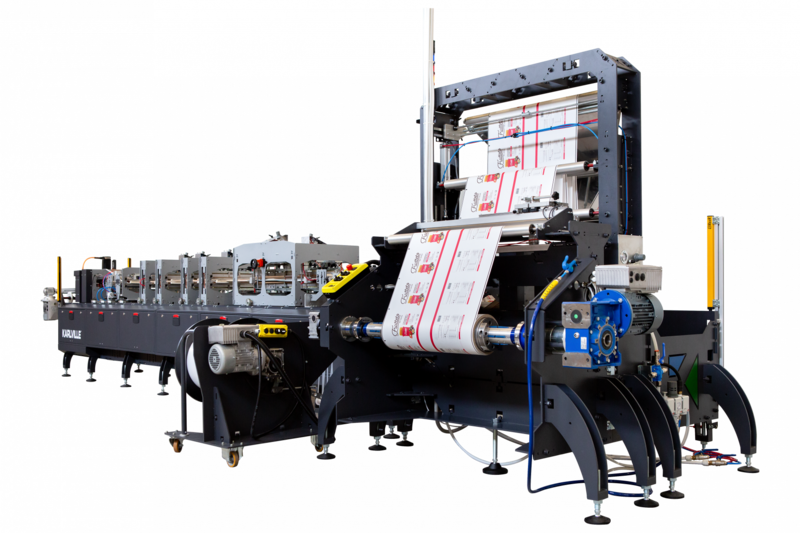 The KC-FB-650 (GSD650FSL) is a multi-functional flat bottom/box pouch making machine capable of converting flat bottom pouches and flat bottom pouches with zipper or optional slider.